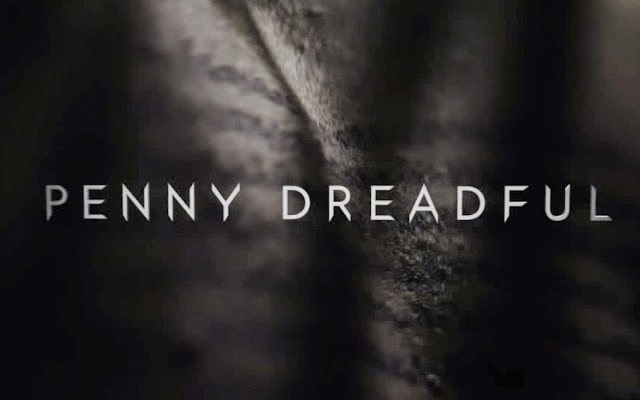 And I forgot how beautiful it was, the visuals, all the gothic dark and shadow, the imagery of long shuttered rooms and the excellent acting of the ragged people, the almost ruins these characters have become over the last two gruelling seasons. The acting, the imagery – I love it so much. And she is awesome. She perfectly, combatively, excellently (and with beautiful language) pinpoints all of Vanessa’s issues and pain (yes, it’s a magical diagnosis and I really wish that they could magically diagnose so quickly and easily but it’s still awesome). She also firmly declares she’s not broken or wrong – she’s ill. It’s excellent and great fun and seeing Vanessa’s desperate, tiny look of tremulous hope. Oh precious hope on Vanessa’s face! Also even in that, Vanessa is still capable enough to give some of her own even with her at her most vulnerable point. And her doctor is related to the Cut Wife, so maybe magical diagnosis isn’t wrong. She also makes another beautiful and excellent monologue – because she has lost her faith and for a long time that destroyed her. But now she says she’s lost her faith in god, but she still has herself and she still has hope. And here’s me just loving the whole thing, especially since it wonderfully circles back to Lyle’s own declaration of self. Meanwhile Ethan is being extradited to the US, New Mexico, on a train with lots of guards (elaborate gothic speech about America and the lack of tea because elaborate beautiful epic speeches are everything on this show) – who manage to survive when a troop of goons get on the train and shoot everyone to “rescue” Ethan. They work for his dad. He’s not a fan of being rescued. Oh and they spare the poor defenceless lady who says how very very fragile and helpless she is. Yeaaahh… that lady, there? She is death. She is the bringer of doom. She is the harbinger of the apocalypse and an all round badarse and one to watch. Personally I think Malcolm is way more of a father figure to Victor Frankenstein than Ethan. But even then Malcolm as a father figure? I can buy because we’ve seen that develop and we’ve seen his own storylines and him be a character in his own right. So father figure? I can buy it. Kaetenay? We’re just told. He just steps in with none of his own story or establishment and introduces himself as a father figure and that’s a problem for a POC character. It’s important to establish himself as his own character, his own person before we establish him as a mentor/tool/servant/father to a main white character. This is all the more troublesome after the utter racist hot mess of Sembene’s portrayal last season. Anyway I mentioned Victor Frankenstein so time to catch up on him – and he is a hot mess of a state, even worse than Vanessa. He’s now all torn up, opiate addicted and generally not doing well when his friend arrives – Dr. Henry Jeckyll. An Indian man and he’s introduced with a stark display of the bigotry he faces; a bigotry that has given him a lot of rage which Victor is counting on – wanting Henry to help him kill Lily, Caliban et al. This could go very toxic – Jeckyll and Hyde as a PoC is one thing – but are we talking about someone consumed by animalistic, uncontrollable rage? Because that could be a damaging trope and it seems to be what is being implied. Henry actually came to be a friend to Victor, to help him out (and deal some tough, hard truth: about his own narcissism and self-involvement and how he hurt the isolated Henry by making him more isolated) – but upon hearing Victor’s tale he offers to “tame” Lily. To “domesticate” her. Oh she is going to eat him alive, especially after all of her very epic speeches about how women are treated. She better not be “tamed”, she better leave them both very very very sorry, Penny Dreadful. We also have Caliban, up in the arctic, being all tragic… and getting some of the memories of when he was alive back. Or the memories of the body he occupies.